Do you ever get bored of driving to different places with the kids? Sometimes it’s nice to have a family day out where you can all enjoy the journey. I suppose you could call it more ‘relaxing’, but you will still have the kids so who am I kidding?! Dundee is an hour North of where we live, but we don’t know it well and rarely visit. 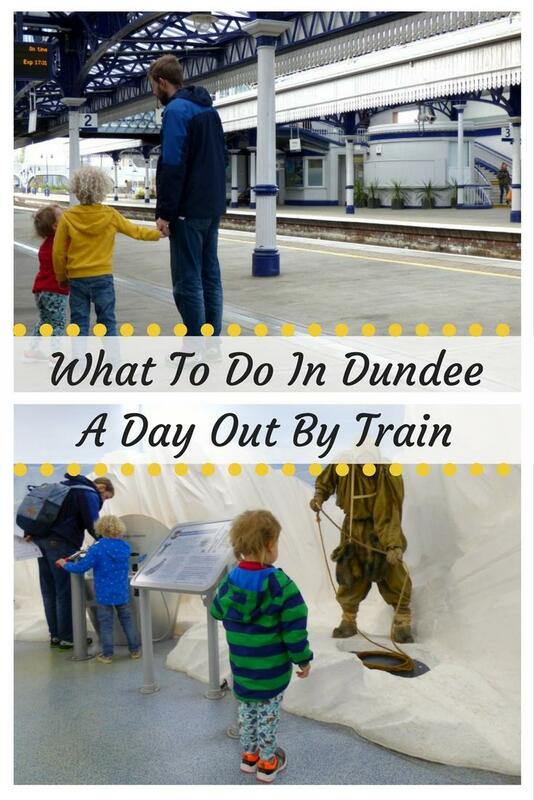 So we were pleased when ScotRail asked us if we would like to go a family adventure to Dundee by train. The first part of any train journey is spotting the train arriving, which brought shouts of excitement from our two! 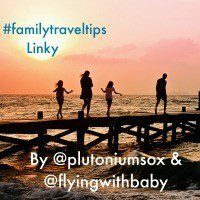 We always travel South to visit places, but forget that there are some pretty great family attractions North too. So it was doubly exciting as a normal train journey as we hadn’t been North on the train before! Once aboard the train our two happily pointed out all the different places in our town before we headed out into open countryside. Then it was tractor spotting (daddy) and animal spotting (mummy). However, anyone who has kids will know that within 5 minutes of a journey the kids will tell you they are hungry. It always happens, no matter how much they had for their last meal or even if they snack JUST before they left. As hunger was inevitable, I had packed the bag with plenty of snacks and a few treats. It was the Easter weekend after all! 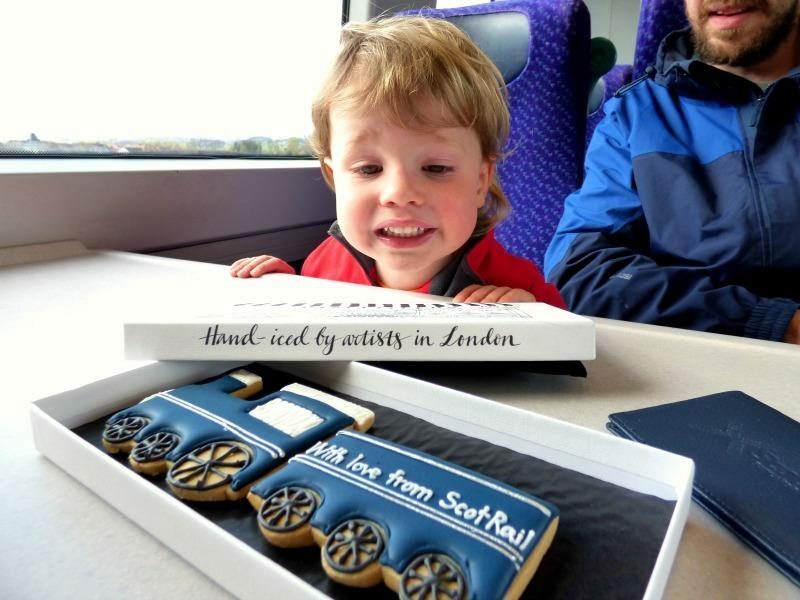 ScotRail also sent this gorgeous Biscuiteers train shaped biscuit, which was a lovely surprise. I just needed to fend the children off long enough to take a photo and break some off for us to eat! 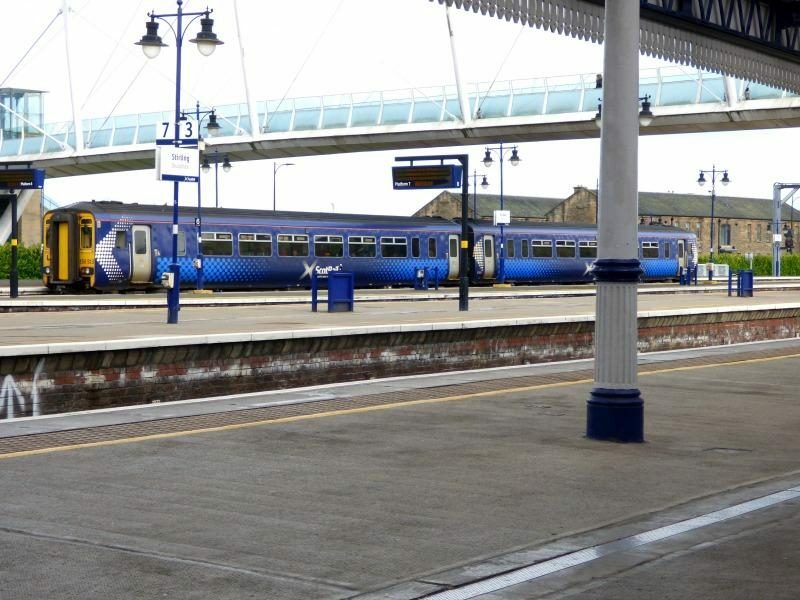 We arrived in Dundee surprisingly quickly, train journeys always go by so fast! 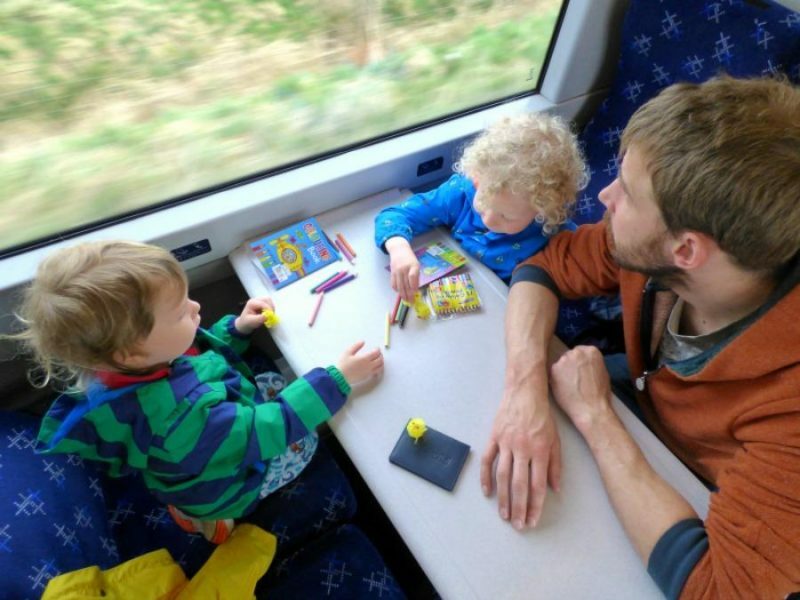 As always the ScotRail trains were on time and so easy to just jump on and sit together as a family. Train is definitely a lot more fun than getting stressed at road users! 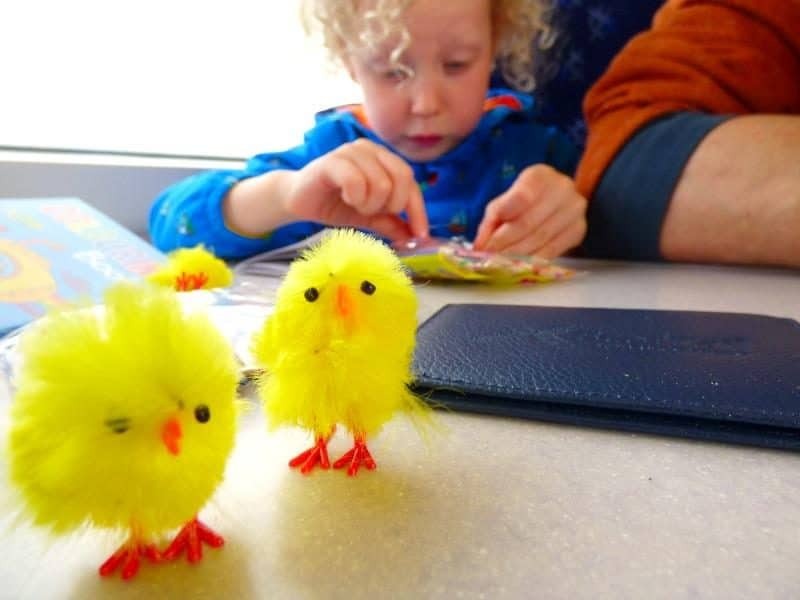 If you are travelling in Scotland on the train with children then I would recommend using the ScotRail ‘Kids Go Free’ ticket. 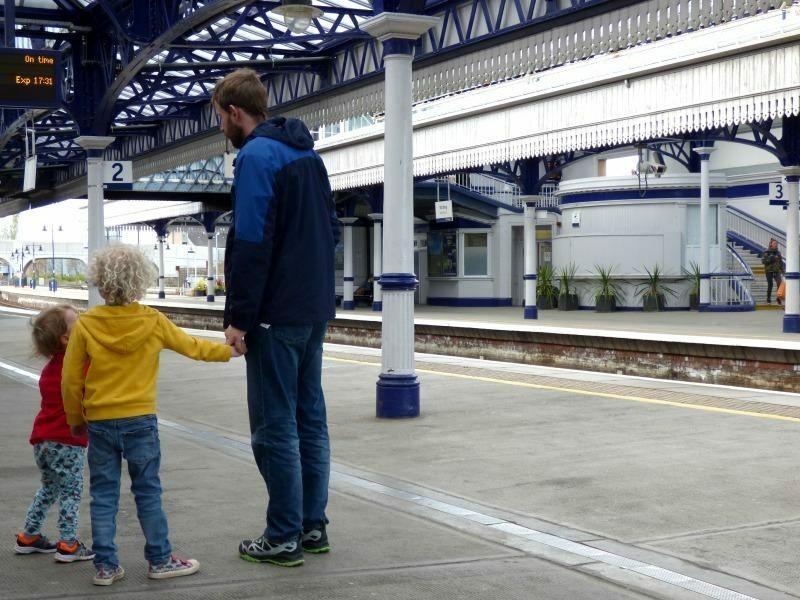 This ticket allows two children (with one adult ticket) to travel off peak anywhere in Scotland on any day of the week for free. 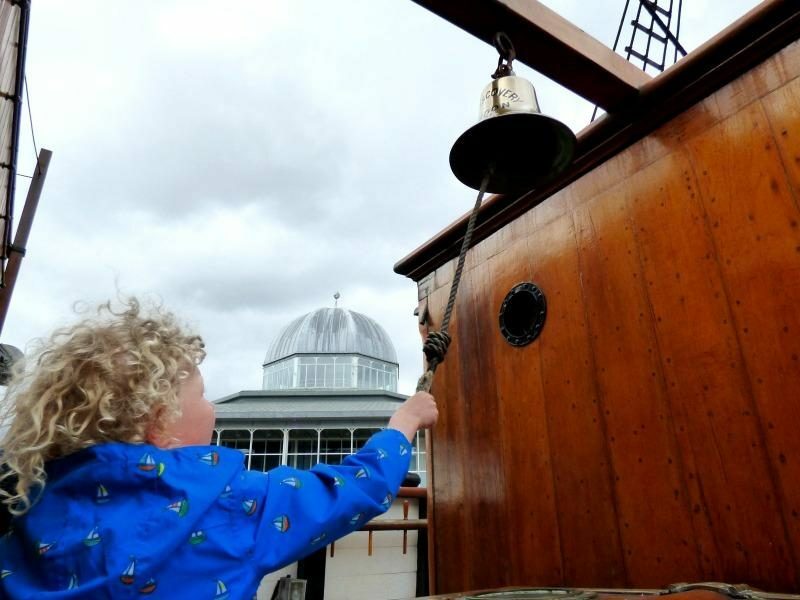 Even better than free travel is that using the ‘Kids Go Free‘ ticket, you can also get one free child entry at a whole host of attractions around Scotland. 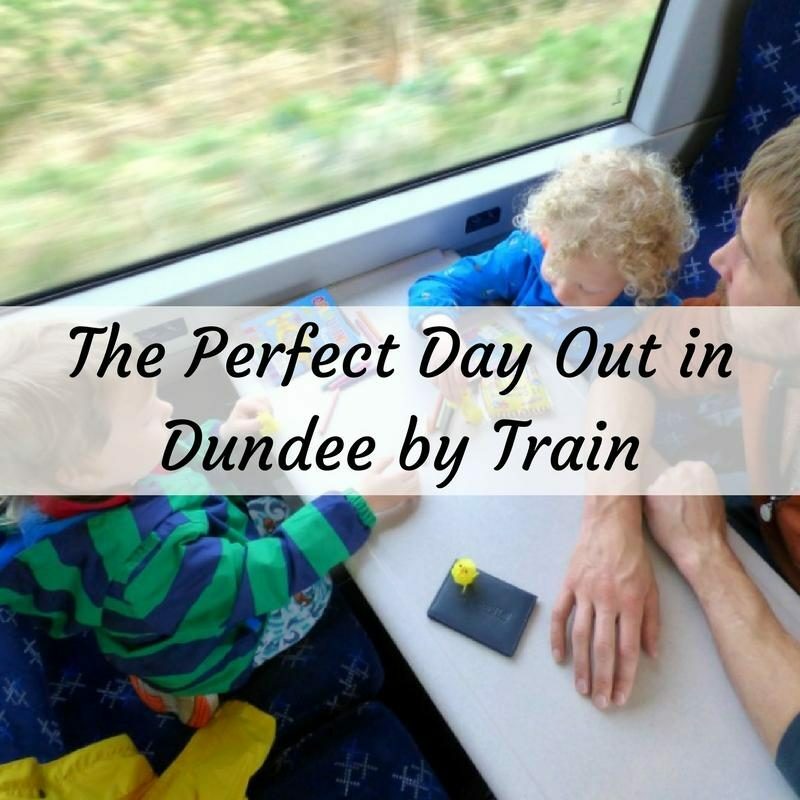 We obviously were going to take advantage of this and had a great day out at two of Dundee’s attractions. You can buy the ‘Kids Go Free’ ticket online, at vending machines or from any staffed station. 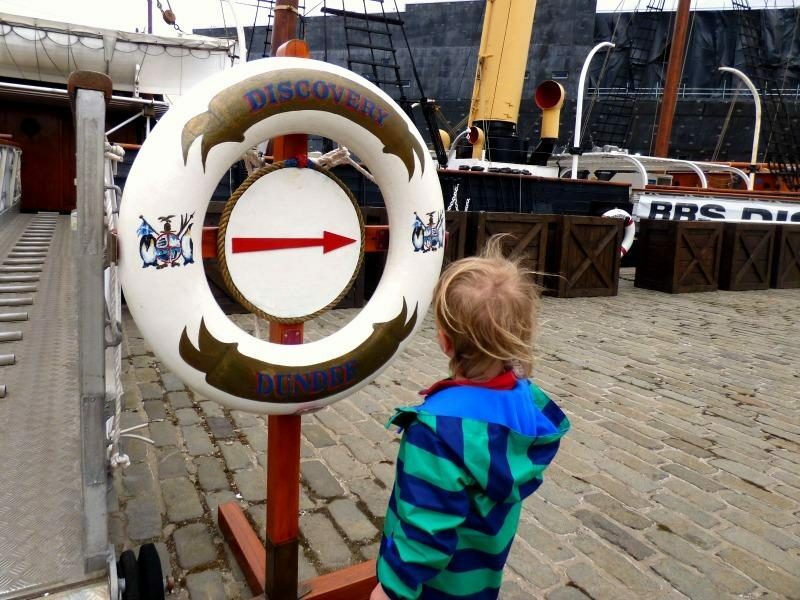 The first attraction we visited at Dundee was to visit RSS Discovery, the ship that Shackleton and Scott took on their first voyage to Antarctica. The boys loved it at Discovery Point. 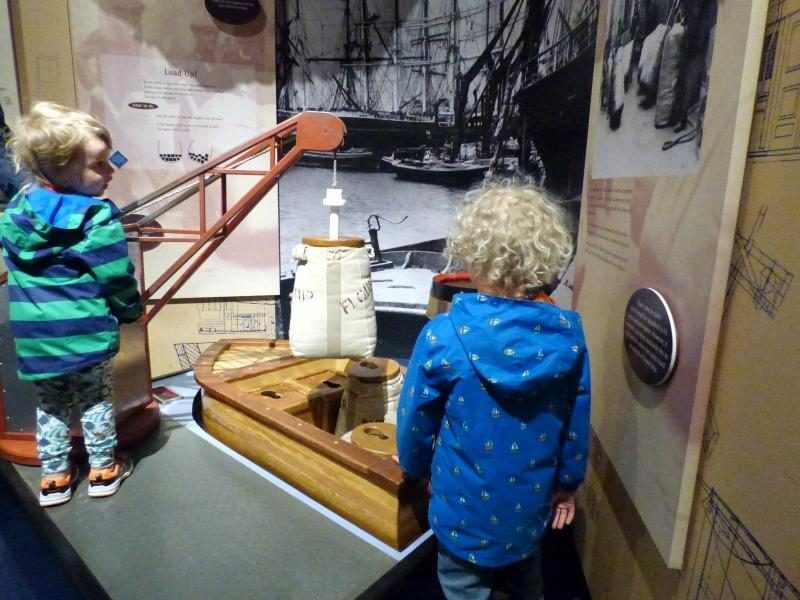 There were so many interactive parts to the exhibition and a treasure map to get them looking for different items in the display cases. The films were definitely interesting for us adults and it seems that our five year old took quite a lot in too. 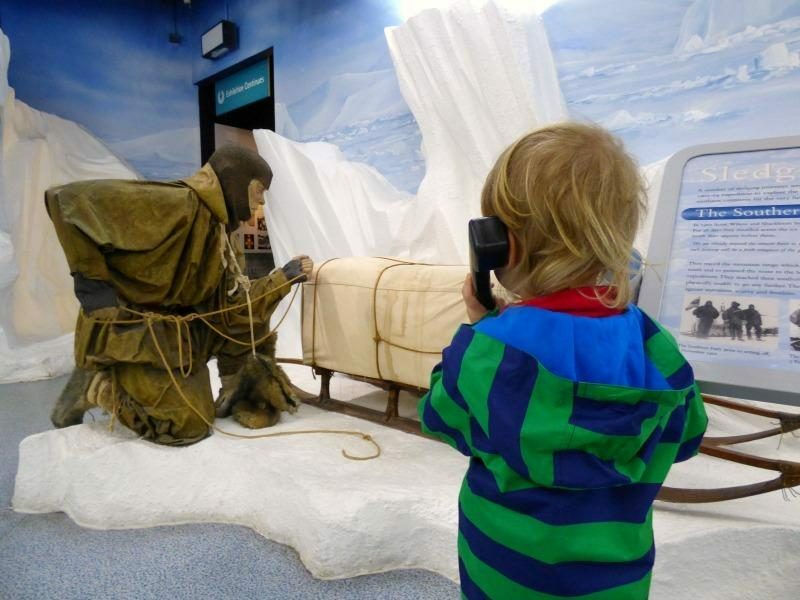 Our three year old told us afterward about how Antarctica is cold, windy and that there are penguins. At least he is on the right track! The RSS Discovery itself was impressive. 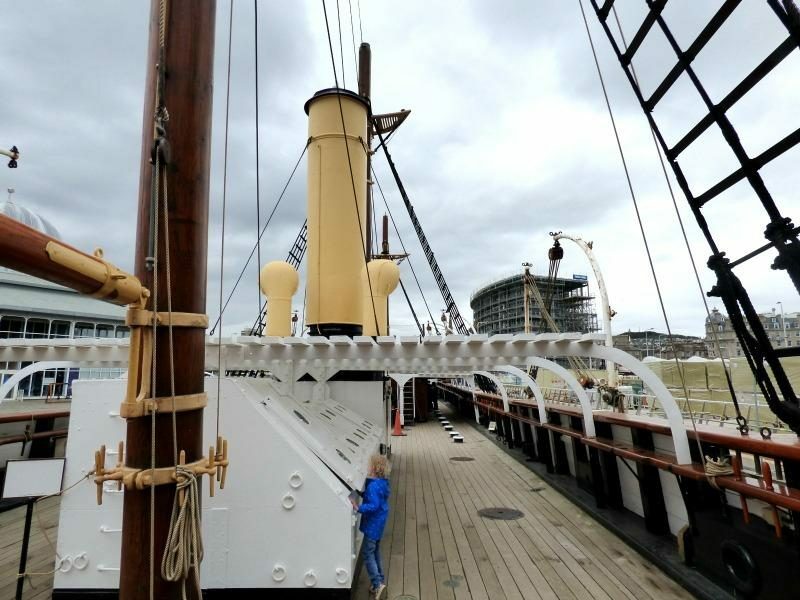 We had a look around the top deck, taking turns ‘steering’ the ship and peering through various parts and ringing the bell. Downstairs was the engine room with a realistic noise that completely confused our three year old! We had quite a few questions about what the noise was. We spotted the ship’s cat Blackwall in the galley, enjoying heat from the stove (a good place to be when it’s freezing outside). The mens bed area was fairly basic. But past the Officers dining room and into the Officer’s area we found that each Officer had their own ‘bedroom’ of sorts. 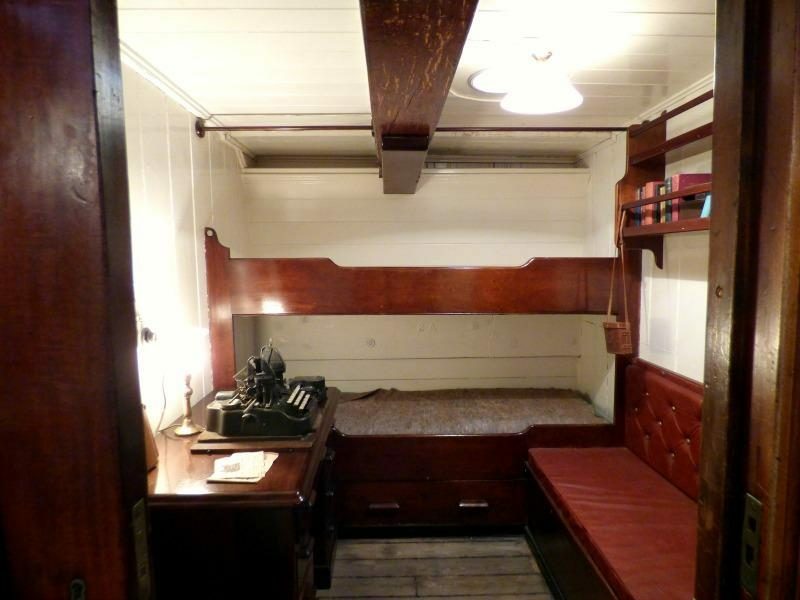 Inside each ‘bedroom’ was a short bed, desk, drawers, chair and in some there is a sink. The stove must have helped warm up the rooms a little, but it was apparently still freezing inside. It must have been difficult living in such a small space for a long time, but it’s inspirational that they risked everything for a trip into the unknown. We had a delicious lunch at the cafe here and was impressed at how reasonably priced it was, considering the huge portions! Our next stop was just round the corner, behind the station, Dundee Science Centre. The building looks fairly small from the outside, but packs a lot into a small space! The first area we arrived in was an interactive area perfect for younger kids. 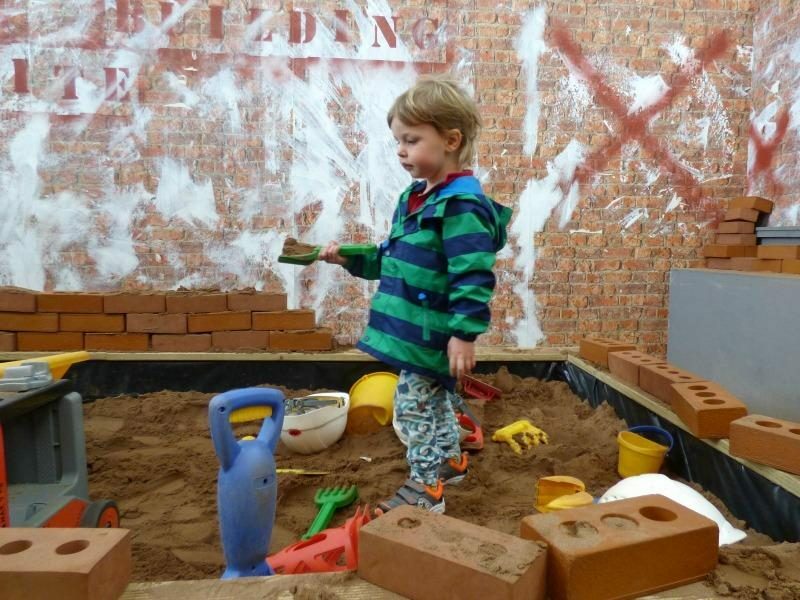 The boys had a quick play in the construction site, but what held their interest most was the iSandBox. Using augmented reality the iSandBox allows you to play several game modes. Our favourites were the topography mode and the volcano mode. In topography mode you can see the topography of the landscape change as you move the sand around the box, we made islands, huge hills, canyons and more. In volcano mode you can make volcanos, which then spew lava and smoke from the top, directing the lava down valleys in the sand (all computer generated images of course!). Around the corner from this area was a human senses exhibition. 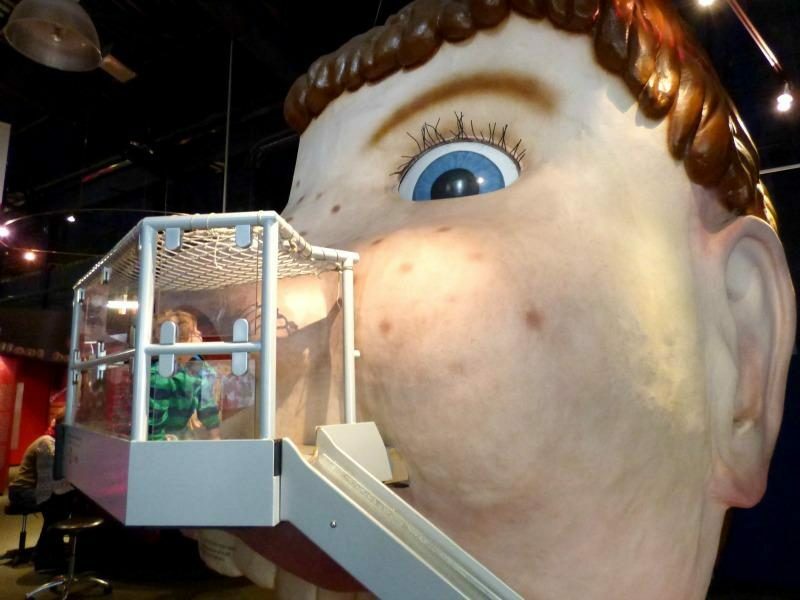 A giant human head had been turned into a climbing frame and slide that allowed you to go into the nose. Our eldest loved it, but when our youngest went through he got quite scared of the huge head when he got to the top of the slide (you can see the moment he got upset in the photo below). Maybe it was the eyes, but he seemed to be the only child who was unsure of it! 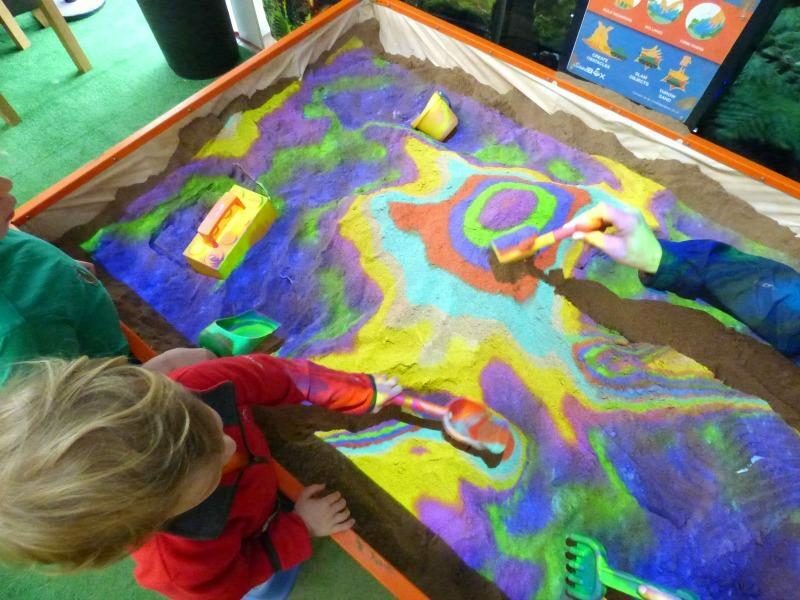 There were various other interactive exhibits including a mini beast area, the ‘Magic Mirror’, which only shows moving people and lots of other exhibits to keep the kids thinking. We also had the chance to try some animal handling. 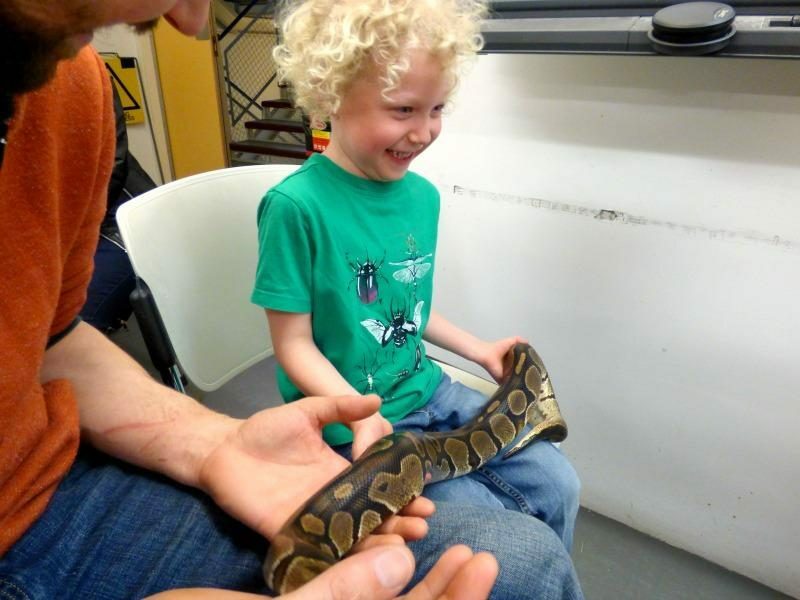 Our eldest loved this and had a great time holding a Python, a Giant Land Snail and touching a Bearded Dragon. I love snakes and it was great to get hold to one again, they are lovely animals. After washing hands we had another little play on the activities around the building before heading back to the station for our train home. We had a brilliant day out and would definitely recommend a day out in Dundee if you are in Scotland. 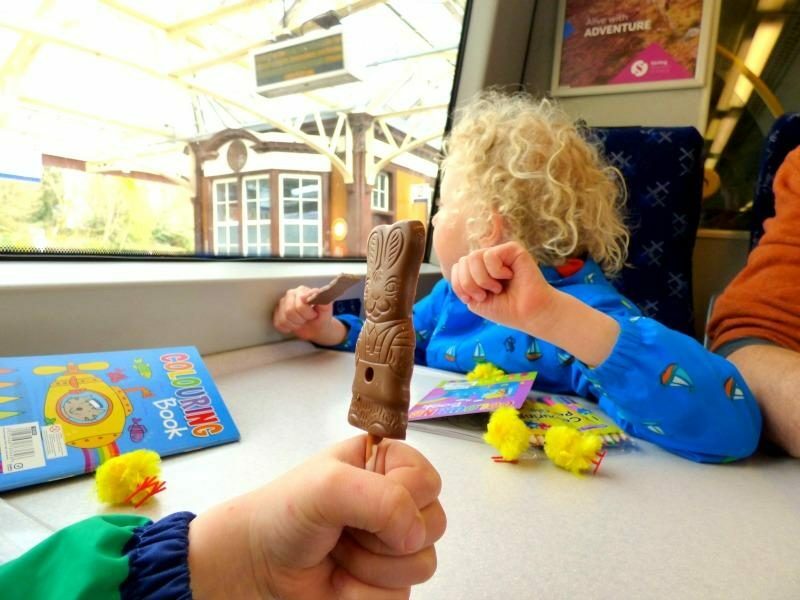 I love travelling by train with the kids, it does seem slightly more relaxing (with 3 I can’t believe I have used the term relaxing !ha) Looks like you had a lovely day out, and I like the idea of ‘kidsgofree” means a lot when searching for family days out that don’t cost the earth. Train travel’s great for kids. And Dundee looks fun – I especially like the sound of the Science Museum. Not sure if I could cope with holding a snake, though! This looks like a brilliant day out. My eldest loves going on trains but we don’t take her enough.